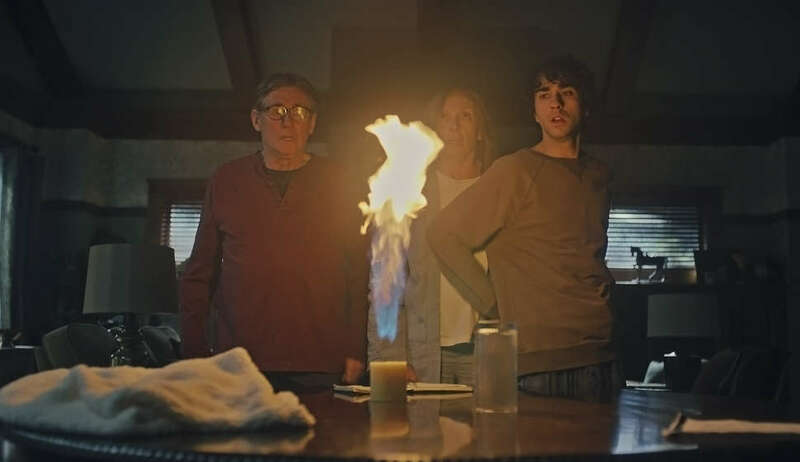 Hereditary is available to rent or buy on iTunes, YouTube, Amazon Prime, and Google Play. It's not rare to hear a director introduce their debut feature at a festival by calling it a "personal film." The process of making any piece of art, especially one as time-consuming and work-intensive as movie, is often an act of bloodletting. What's surprising is when that passion project is as terrifying, unsettling, and deeply sorrowful as Hereditary, a haunted-house film that debuted at the Sundance Film Festival. When the movie was over and director Ari Aster stepped out on stage for a post-screening Q&A, you wanted to give him a hug. Once the applause died down, the filmmaker, dressed in jeans, glasses, and a sweater over a collared shirt, fielded a question from the moderator about the movie's origins. He was cryptic, noting that he wrote the script four years ago. "I had gone through some stuff with my family," he said. "I'm always working from a personal place but I'm not one to dramatize things from my life." When you see the film, you'll know why that's a good thing. Hereditary opens with the text of an obituary appearing on the screen, establishing a tone of ominous dread. The dead woman's daughter Annie (Toni Collette) is struggling with her grief, which becomes clear as she delivers a caustic eulogy for her mother that describes her as a "secretive" and "private" woman. Annie's quiet husband Steve (Gabriel Byrne) keeps his distance; her young daughter Charlie (Milly Shaprio) scribbles gruesome portraits in a journal; her teenage son Peter (Alex Wolff) treats his anxiety with copious bong hits. Together they live in a large, creepy house with an upstairs workspace where Annie builds tiny miniatures of her own family life. Think of it as Scary Tiny Furniture. The family's despair is so raw from the beginning that you might be nervous that the movie will have nowhere to go. Aster captures a mood of unease through long, careful takes. He uses a bracing score composed by avant-garde saxophonist Colin Stetson to punctuate scenes. Annie, who comes from a family with a history of mental illness and suicide, is clearly on the verge of a breakdown, which Collette plays with mischief and flashes of shame. ("I am blamed," she tells her therapy group.) When Charlie decapitates a bird outside her school with a pair of scissors, there's no telling where the plot will lead. Is this a ghost story? A demonic possession tale? A riff on The Omen? To spoil the terrifying incident that comes next -- and swiftly pushes the already heightened pitch into an almost absurd register -- would be inhumane. (This is all I'll say: The screams in the theater were almost as frightening as what was on screen.) Soon, Annie is sleepwalking through the cavernous hallways, visiting a medium (The Leftovers' Ann Dowd), and constructing even more bizarre, intricate miniatures of her recent past. The house -- the interiors of which Aster revealed during the Q&A were entirely built on a soundstage -- is under siege. No one in the family is safe. As difficult as it is to talk about the movie's twists without giving anything away, it's just as challenging to discuss the movie itself after the credits roll. In the same way 2017's controversial mother! divided audiences with its combination of dark humor and visceral horror, Hereditary seeks to confound by swinging between moments of controlled Kubrick-ian terror and unhinged emotional hysteria. There were walkouts. There were people complaining when they marched through the snow to the bus. Even Aster appeared uncomfortable answering questions about the film, which so clearly comes from a place of real pain. He even described doing the research for the film as upsetting. An AFI Conservatory graduate with a handful of acclaimed (and controversial) short films under his belt, Aster was clearly driven to tell this family's story of trauma. At one point during the Q&A, he described the movie as being about "the illusion of agency" and one assumes that same idea informed his internal drive to return, again and again, to such bleak material. He had no choice. "I needed to get it out of my system," he told the crowd. "I took my sickness and now put it inside all of you." 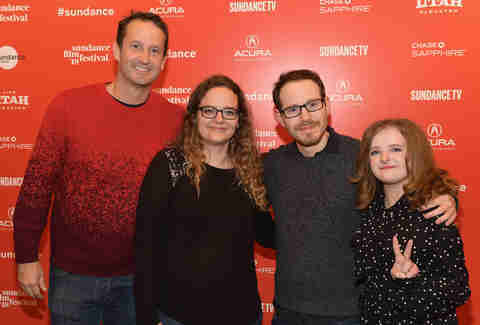 With critics and fans buzzing about this audacious work -- and A24, the distributor behind indie horror films like The Witch and It Comes at Night, releasing it later this year -- it's likely the disease will be spreading. Evolving. Mutating. You'll want to catch it. And pass it on.